RECENT media reports suggest that Ipoh is experiencing an upswing in property developments but developers are unhappy with the new premium rate system imposed. 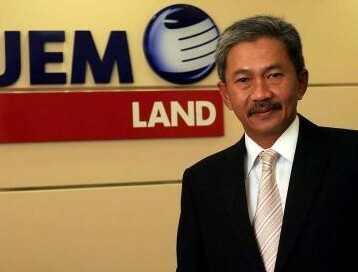 According to San Chak Chun, honorary secretary of the Perak chapter of the Real Estate and Housing Developers' Association Malaysia (Rehda), there are some significant property projects in Perak, particularly Ipoh, but recent developments in the state administration have been of great concern to developers. “The Perak government should be more sympathetic to the property development sector as it is the locomotive' for economic growth in the state,” pointed out San, 65, a lawyer by training. He is concurrently a committee member of the Perak Chinese Chamber of Commerce and Industry as well as the Associated Chinese Chambers of Commerce and Industry, Malaysia, involved in monitoring issues related to property and housing development and legal affairs. “The property sector plays a vital role in more than 140 industries and trades in the economy,” explained San. “It is, in fact, the lifeline for people from all walks of life. Property development creates many job opportunities for locals as well as foreigners. Rate of premium payable by the developer is 10% of value of land per square meter for commercial property, and 1% of value of land for residential development. The capital contribution to SPAN has different charges. If the service reservoir is built by the developer, then the top bracket charge is RM1500 per unit for houses costing above RM500,000. He also cited that the Department of Civil Aviation's imposition of a height limitation on the construction of high-rise buildings within a 5km radius of the Ipoh airport was another problem. Such buildings were restricted to a height that should not exceed 130m above sea level. On bureaucratic red tape, San stressed that the local authorities should reduce the approval time for all stages of development application. Assessing the property industry in Perak, particularly the commercial segment, San revealed that there were several new budget hotels currently being constructed. But there was a lack of four-star and five-star establishments. “There could be an oversupply of budget hotels as many entrepreneurs are turning their shophouse premises into such ventures. “But Perak has no proper convention centre nor big enough exhibition venues to hold conferences or expos of international standards,” he highlighted. “There is already an oversupply of shops and such commercial properties in various parts of Ipoh and towns in outlying areas. Many such properties have also been converted to swiftlet farms,” said San, referring to the backyard industry of breeding swiftlets for their edible nest. For residential property developments, San said projects within Ipoh city and nearby towns were still selling well, with prices going up 20% to 40% for double-storey terraced houses. “A standard two-storey linked house in Ipoh city is selling about RM390,000, whereas in other areas and in suburban localities, such a property can now fetch RM240,000 and upwards. In the ranking order of “saleability,” the demand for residential property is for single-storey terraced and double-storey linked-houses followed by single-storey and double-storey, semi-detached houses plus medium-sized bungalows. For reasons of accessibility and convenience, such properties should be within a radius of 10km from the city centre where most business activities are located. However, San lamented that wasn't much interest in industrial property. Many units of such developments were still vacant or turned into swiftlet farms. Comparatively, property prices in Ipoh were still quite affordable for working couples with two incomes. There was still a market for such developments. PETALING JAYA: The Securities Commission (SC) has declined a ruling application sought by the joint offerors of SP Setia Bhd, which they will not appeal. However, the decision has no material impact on the joint offer made by Permodalan Nasional Bhd (PNB) and SP Setia founder Tan Sri Liew Kee Sin for the rest of the company’s shares. “Notwithstanding the above, the terms and conditions of the revised offer remain unchanged as per the notice,” SP Setia said in an announcement to Bursa Malaysia. Last month, PNB and Liew became joint bidders for the property giant, raising the offer price to RM3.95 per share and 96 sen per warrant, up from RM3.90 and 91 sen before. SP Setia added that the offer document for the revised offer would be despatched within two days after it had obtained clearance from the SC. The company had told the stock exchange on February 10 that it applied for a ruling with respect to the concert-party relationship of the joint offerors with one another and with various other persons that was submitted to the SC on January 25.